electricity was rationed from 6pm till about midnight only. no restaurant/eateries anywhere (so you need to cook your own food). you only sleep on tents. does that sound too detached? hermit life like? – i’d say YES big time! …and i LOVE it (big time too)! 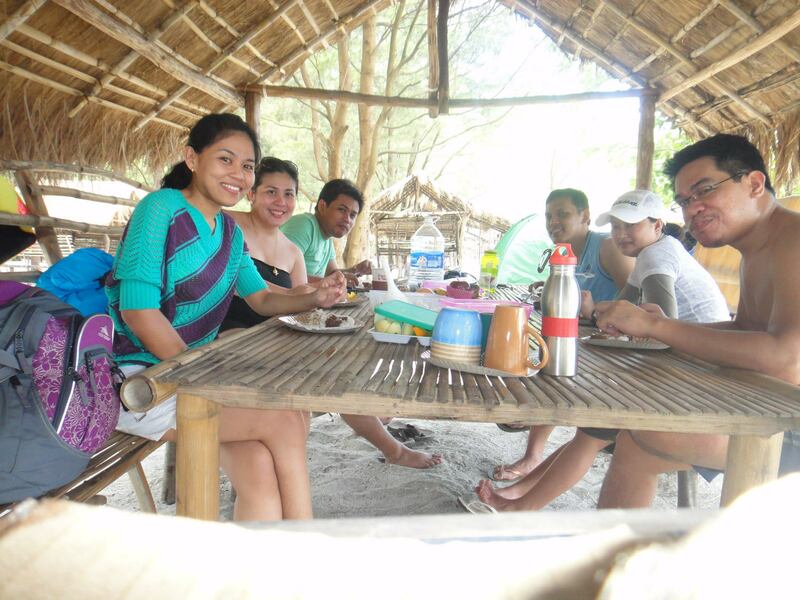 the trip to Anawangin and Nagsasa coves came perfectly when i was about to give up already w/ the tension brought about by work and life in general. and well zero love life… what do i expect… asa pa ako. so when my officemates from Cebu clued in that they’r coming over for a trip to Anawangin and Nagsasa, i readily said yes…i wanted to aloof from the world. for 888P package tour (thanks to www.ensogo.com.ph for the good deal), we were off to Zambales in the western end of Luzon to explore and say hoola to Anawangin and Nagsasa coves! 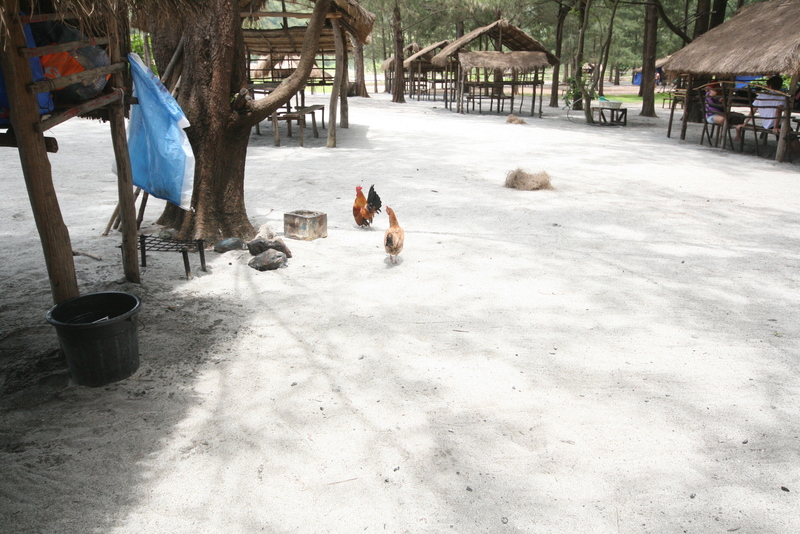 could these be wild chickens… tinolang manok mode lol. 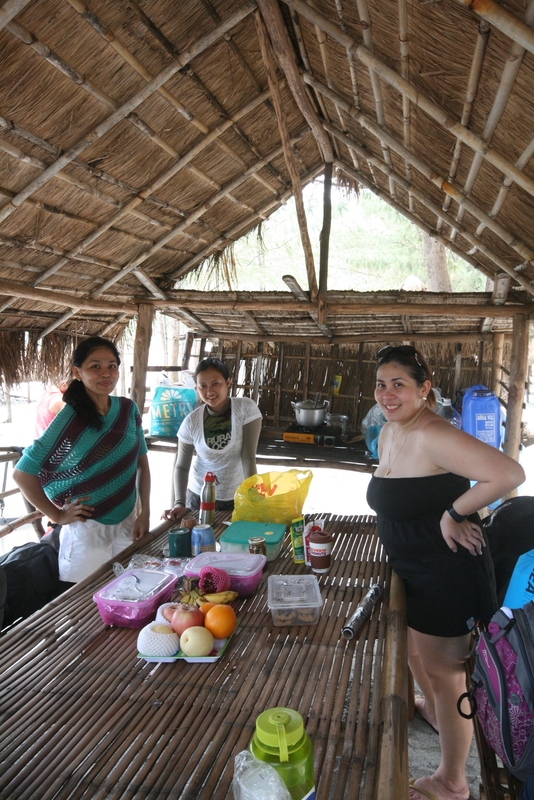 its like bahay-bahayan con reality show moment for us as we had to cook our own lunch (w/c by the way we had to look for fishermen so that we can buy fresh fish, good thing the owner of the place where we stayed also go fishing so we got a few variety of salt water fish and milk fish as food). after eating, we had to kill some idle time so we opt to play ‘pinoy henyo’ using Bokz IPad. probably this was the only time Ipad was put into significant use haha. i specifically enjoyed this moment since nobody was holding their mobile phones and kept updating their instagrams, facebook or twitter. 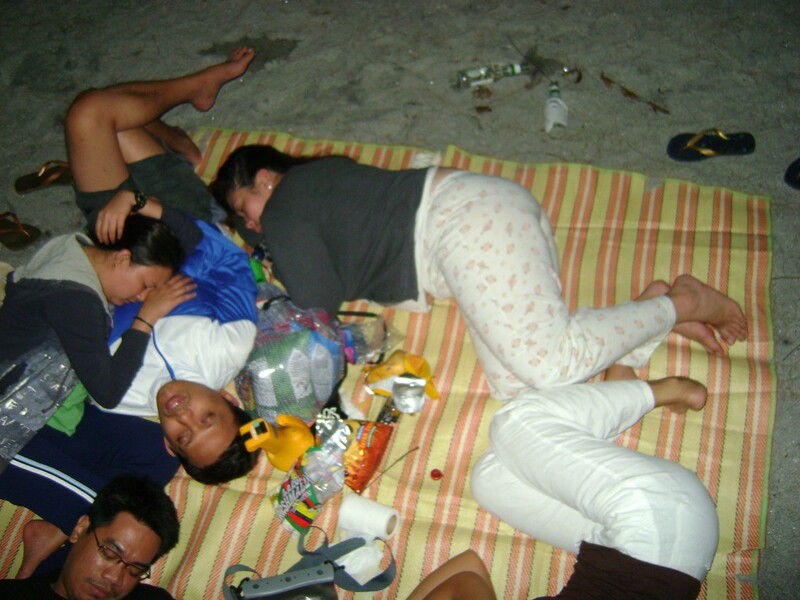 we really felt time slowed down…and we really felt the idleness… ang sarap pala. since there was still extra time, we went trekking and took a dip at a water falls in the area… (this deserves a separate blog). we were already in deep slumber when it rained. we didnt know that the tent provided (included in the package) had a lacking piece that shoud be placed on the apex of our tent so naturally we were all supposedly got wet. good thing though, my tent mate was quite ‘shunga’ (peace bokz lol), he left his towel to dry and hung it at the apex of our tent. 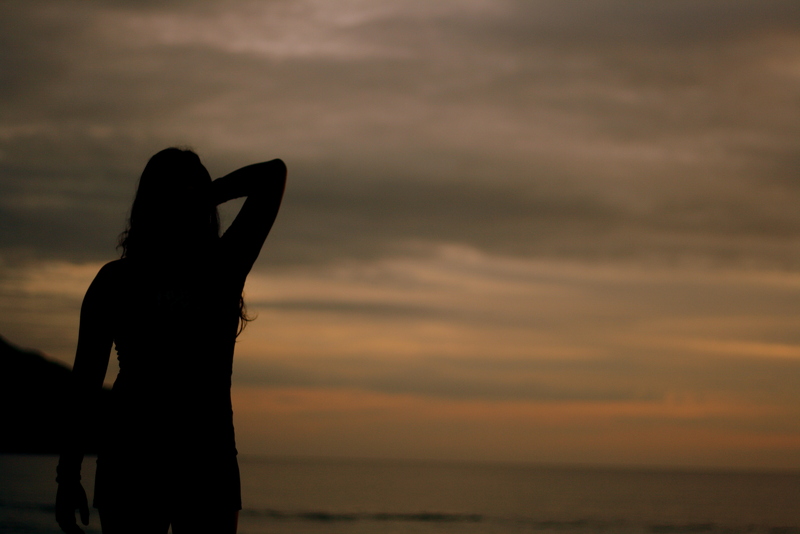 ending, we were the only ones who were left dry. lol. 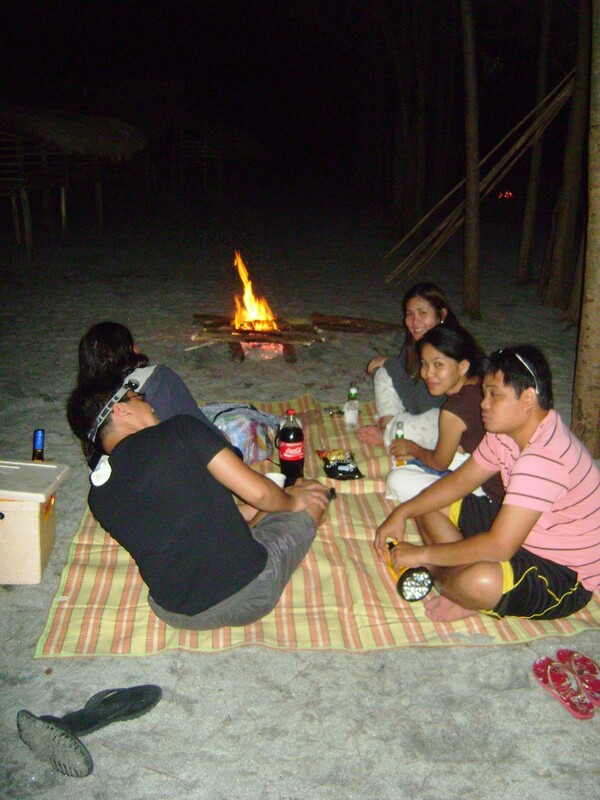 another authentic experience i had in Nagsasa was the bonfire and the overnight camp out. what made it ‘authentic’ was the absence of electricity and the basics. 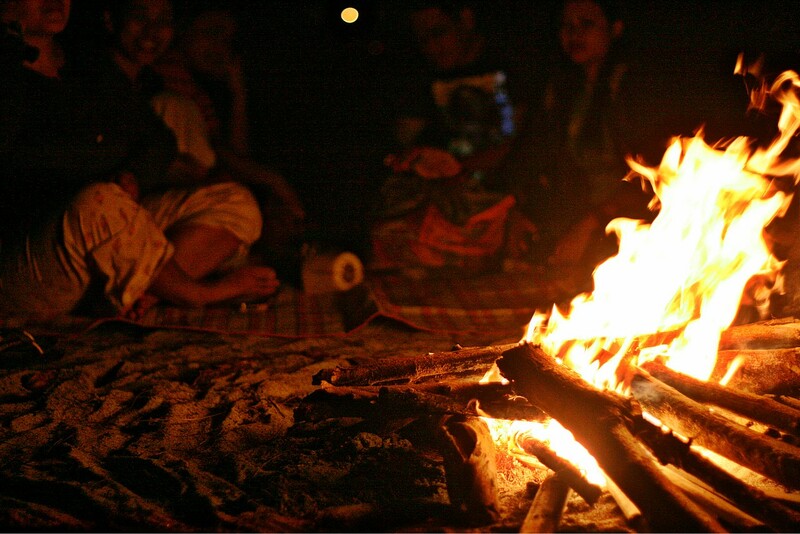 that meant we made it through with the bonfire thru countless ghost stories and urban legends, stargazing in the clear night sky, playing in the beach front w/ only the moonlight above and more than enough solo time to think about things… of course we cant ignore alcohol on the side. good thing we were able to store ice from the mainland. it was soo soothing. very relaxing physically and mentally (buti na lang walang lamok). i woke up the next day feeling fully charged and renewed. 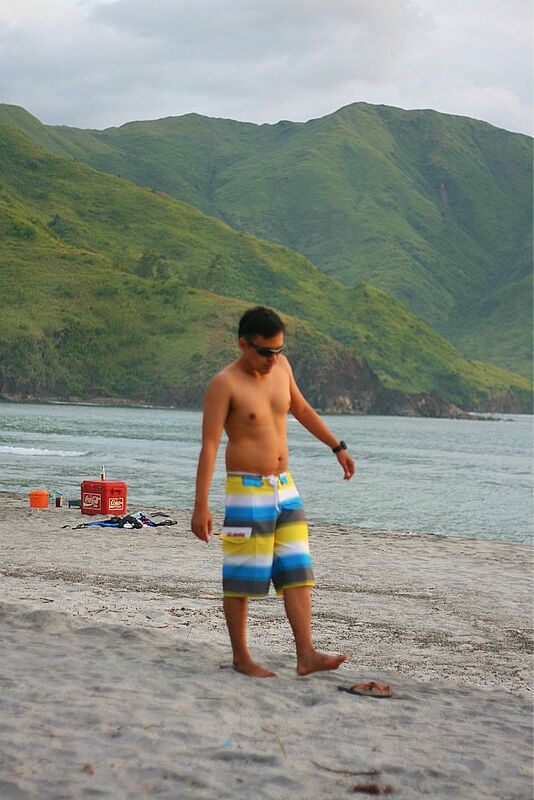 if the need to detach to the world comes again, i’d want to go back to Nagsasa. 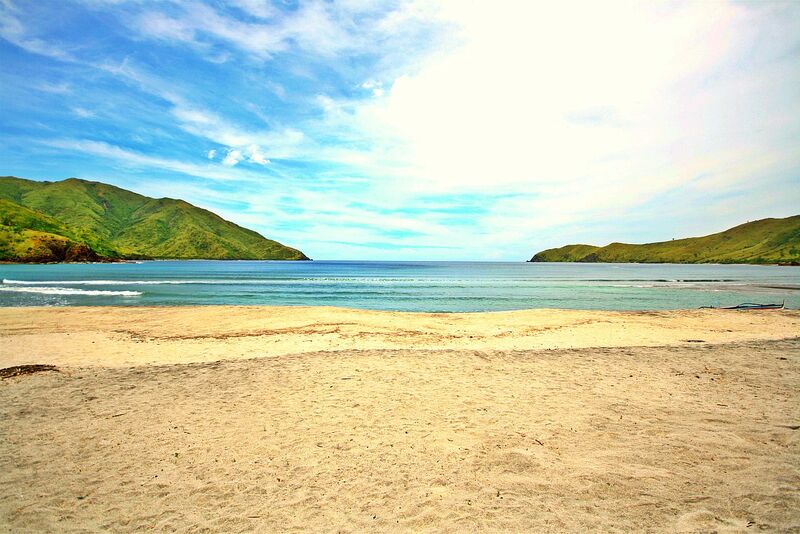 one major tip, if you plan for an overnight stay, choose Nagsasa over Anawangin since Anawangin is too crowded already. 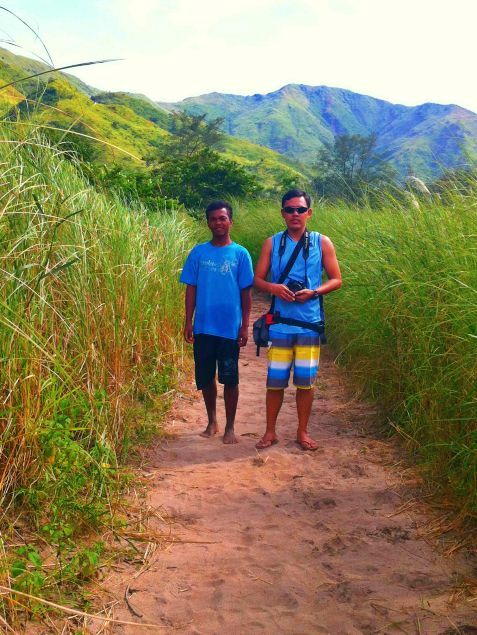 Meet Joe Black – a literal Joe ‘Black’ our tour guide at Nagsasa Cove when we went for a hike towards an unnamed waterfalls (for guides not to pick up the name, then this waterfalls must be really, well, unknown). i will write something about this guy because i felt the need for me to show the world what has been happening to the Aetas of Zambales as well as to the rest of the aborigines in our country. i tried to make him feel comfortable w/ us by asking him questions. i found out that he never went to school (because the nearest elementary school was 2 hours away by boat). he didnt liked the ‘bayan’ where the school was, he didnt say why but w/ how uneasy he was when he refused to answer, right then i knew the reason why…he was most probably bullied by the much fairer, straight haired ‘kapwa pilipino’. i left it at that w/ an awkward silence. after a few minutes i tried to ‘interview’ him again and squeezed out some infos. i found out that there was not much root rops to grow in the area so they rely heavily on tourism. they charge 100P per guide per treck. they also get paid to accompany tourists during overnyt camp outs in the area, for 150P they can create bonfires and for a couple hundred pesos they can fish for tourists. we also passed by a genuine aeta community of 3 houses and i found out they are also very much into pets. each house had 1 dog (askal). they didnt have electricity. they get water from wells. tof: ‘pre bilisan natin gusto ko makita yung sunset‘. tof: pero lumulubog sa dagat? the night went on and while we were busy w/ our camping life i saw this group of aetas w/c gathered at the sole sari2x store in the cove. 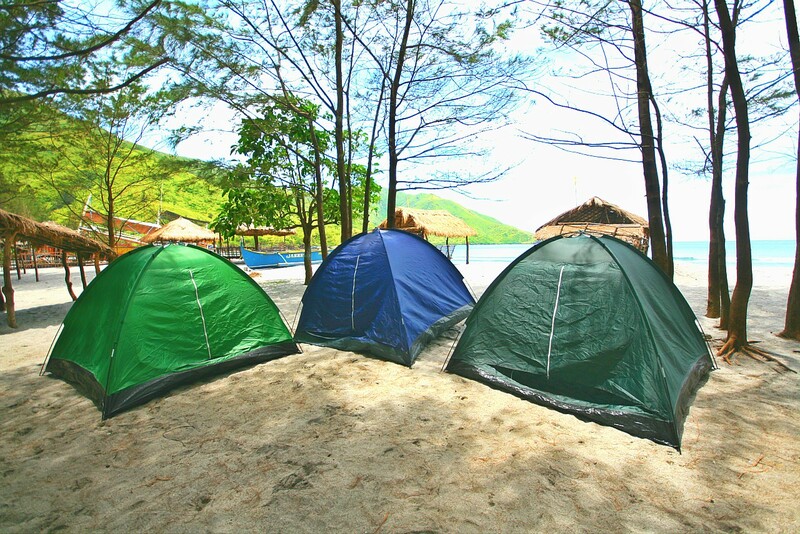 the cove has electricity from 6pm – 12mn from a generator to allow campers to charge their emergency lights. i learned that the sari2x store owner usually have film showings. that night the owner had a Chinese action film (bruce lee type) shown. i got quite sad when i saw how tuned the aetas were w/ the movie – even if they didnt understand a thing. they laughed at scenes which where deemed violent. they were just so into the movie that i too had to watch it for a few minutes out of curiosity. 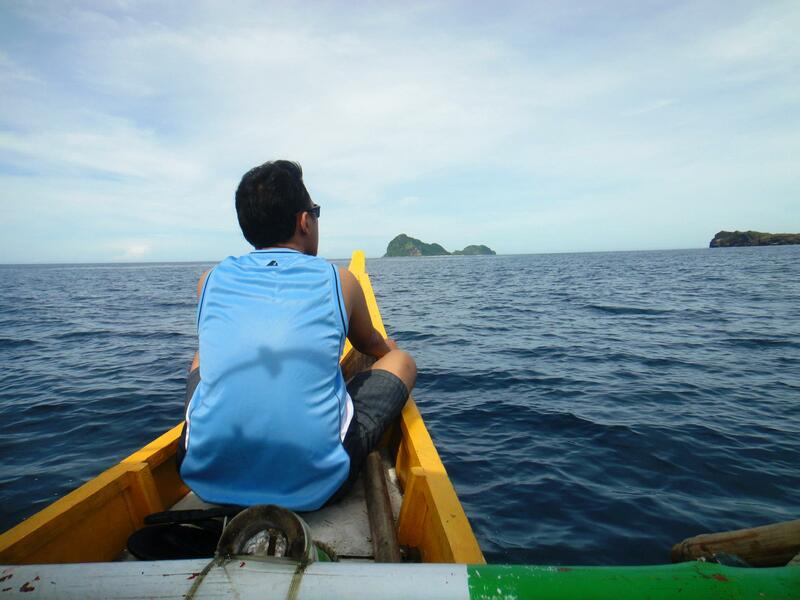 the next day, we took a side trip to Anawangin Cove before heading back to the mainland. while enjoying our last few hours there, a man approached me and tried to strike a conversation w/ me. i was fine w/ it. medyo maangas sya. he talked about how Anawangin and Nagsasa Coves are now a big issue in Zambales courts as a certain family (name witheld) is claiming rights over these coves. he said by next year those ‘squatters’ (as he call those aetas) will be forcibly evicted as the court will decide in favor w/ the alleged family claiming sole rights on these coves. i was taken aback w/ what i heard. i perfectly understand how the laws on real estate properties and stuff work. BUT then, in this case we have people termed as ‘squatters’ that will be affected. squatters? really… as far as my basic history education has thought me, these what we term as squatters are actually the very first inhabitants of our land. and for hundreds of years, this has become their unfortunate state – their ignorance and their inability to comprehend are abused and used against them. panahon pa lang ng mga Datu at alipin, they have been suffering forced eviction of their lands which they toiled themselves, its already the 21st century and still they are suffering the same fate as their ancestors. i believe our government (or at least the govt unit that oversees our indigenous people) should intensify their efforts to protect their rights. after all, sila nauna among everyone else.